Think back to a time when you were called on to do something and you felt unequipped to accomplish the task, when you could have listed any number of reasons why you were the wrong person for the job. How did you respond? Every person who has committed their lives to the lordship of Jesus Christ, has a specific calling on their life, a calling that God has uniquely equipped you to accomplish. Jeremiah was a prophet in the nation of Judah who began his ministry around 627BC during the reign of King Josiah. Josiah was a God-fearing King and the nation was blessed by God during his reign, unfortunately the succession of Kings after Josiah were evil and as a result God used the Babylonian nation to punish Judah and take most of the nation into exile (see 2 Chronicles 35 and 36). 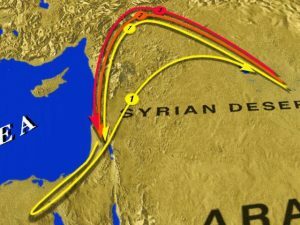 Jeremiah was left behind and was taken by the remnant of the nation of Judah down to Egypt. Jeremiah, known as the weeping prophet was called to a very difficult task. He had to put up with a lot of abuse, death threats and imprisonment. He was even placed in a muddy cistern in the ground and left to die, yet he was faithful to the calling of God on his life. Jeremiah struggled with his ministry, he complained and wrestled with God, in fact chapters 11-20 of the book are often referred to as Jeremiah’s confessions, where he pours out his heart to God. Before Jeremiah even began his ministry, God orients him and tells him something that kept him faithful to God for all his life (Jeremiah 1:5). God spoke to Jeremiah and as a part of his calling to ministry, God tells him that he was intentionally put together. The same applies to every person alive today. King David was also aware of this in Psalm 139: 13-17. God wove Jeremiah together perfectly for the task he was called to. God knit every cell in your body for a specific purpose and calling. If we would only grasp the fact that we are not a jumble of cells as the scientists tell us, but rather there is unlimited potential in the created human life. This should change the way we look at others, the way we look at children and the way, we need to look at the unborn. How would your self-image change if you truly understood that God has formed you specifically for his purpose for your life? If God has made you and I for a specific purpose, how do we know what it is? Here is the good news, not only does God form us and knit us together, he also calls us. The God who created the universe, who gives life and breath to every living thing, looked out over all of creation and chose you. God created Jeremiah with the physical and the emotional capacity he would need for the life he would be called to. God prepared Jeremiah and then when he was still a teenager, God calls him by saying, “I appointed you as a prophet to the nations”. God reminds Jeremiah of his specific design, and then he tells him his purpose. The calling of God on your life is real. Every one of us is called by God to fulfill the specific ministry that we were designed for. But surely only those who are called to ministries such as pastors or missionaries are actively called by God? That is simply not true, we are all called by God to serve him and His purpose for our lives. The Bible teaches that every Christian is called to “full time” Christian service, regardless of his or her vocation (see 1 Peter 2:9). You may be a caregiver, an executive, a builder or an administrative assistant, where you are is where God has placed you in order to be his priest and minister of the Gospel in that environment. If we get this, it will make a radical change in our view of day to day lives. It is tragic to see Christians who work purely for a paycheck, or work just to get to the weekend. What a tragedy, this is not why God has called you, this is not why Jesus died for you ( see Colossians 3:23). But what if you feel completely ill-equipped to accomplish the task that God calls you to. Jeremiah felt that way, Moses and many other characters in the Bible felt that way. 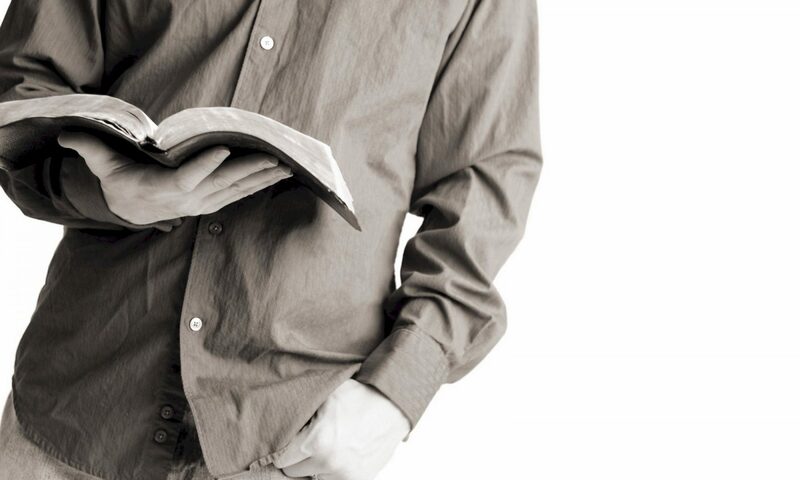 See how Jeremiah responded in verse 6. Jeremiah was hesitant to take on the mission, and when God calls us we also hesitate and doubt. The primary reason we doubt is the same reason that Jeremiah doubted, our focus is in the wrong direction. Jeremiah was looking at his own skills and his own abilities or lack thereof, we look at ourselves and immediately try to disqualify ourselves because of our perceived weaknesses. But God wants us to focus on him and on His power to fulfill the mission. Read God’s response to Jeremiah in verse 7. Notice, God didn’t disagree with Jeremiah or try to give him a half time pep talk, God simply reaffirms his call and says, go! To God and to everyone around, including Jeremiah, he didn’t have the skillset to accomplish the task, but God did. Notice what God then did in verse 9. God knew full well that Jeremiah wasn’t up to the task, all he needed was for Jeremiah to be a willing vessel to be used by God, a willing mouthpiece to speak the words that God put in his mouth. Has the Father given you an impossible task to do? Then you’re in the right place! Only when you realize that you are completely unable to do what God calls you to do, will you be ready to be used by God. The mission that God calls you to, may not be easy, it certainly wasn’t for Jeremiah. 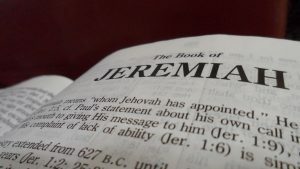 Was Jeremiah successful? By human standards it didn’t seem that way, but by his obedience to God, he will receive a reward on the day of judgment. Don’t be tempted to measure your ministry success by the worlds standards. Success is found in obedience not results! Our part is obedience, God is responsible for the results and He is most certainly capable for that.